Are you looking for information on the company Sasmos HET Technologies located in India who sells Cap Radial? If so, read below to read one buyer’s experience with this company. Also you will find related search links to explore more about Sasmos HET Technologies on Supplier Blacklist and across the web. While enquiry & purchase order response was too quick & good. 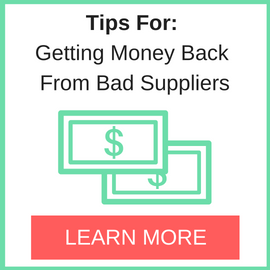 Immediately agrees for a contract price and no response after receiving payment. Need More Info on Sasmos HET Technologies? If you need more information, you can click the below links to search for more submissions about Sasmos HET Technologies on Supplier Blacklist as well as go to the search results page on Google for more reviews online about this company. Perform a Supplier Blacklist search for more reviews on Sasmos HET Technologies. Search Google for Sasmos HET Technologies Reviews. Please kindly follow this issue and inform the writer to provide the evidences. 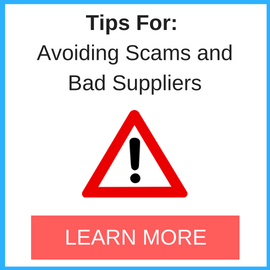 Please check the comments section in listing you created at SupplierBlacklist.com as there is feedback from someone claiming to be supplier. They claim that your listing is not true. If their comments are accurate, or if there was a mistake, please adjust or retract your listing. If your original listing was accurate, we hope you may offer a rebuttal to their recent comments. SASMOS HET LTD Located in india,placed order on BUY CHIPS,but after giving payment they never turned back. If you don’t have any evidence, please delete this, we have nothing with this! We are BYCHIPS, our website is http://www.bychips.com, we are not “Sasmos HET Technologies”, we don’t have any relationship about Sasmos HET Technologies, why you made this complaint about Sasmos HET Technologies but write our website address? 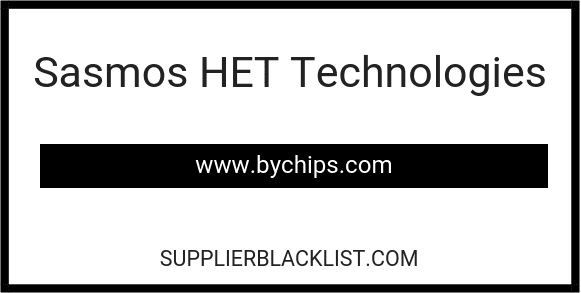 Dear SUPPLIER BLACKLIST, please kindly removed our website from this link, we are not “Sasmos HET Technologies’! We never sold this product!